Space Toaster - Chank Fonts! What are your super powers? 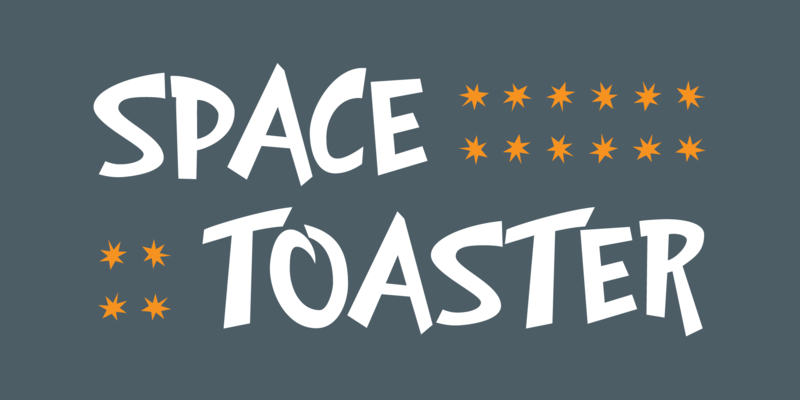 Space Toaster was created by Chank Diesel in 1995 as a custom font for the Cartoon Network’s “Space Ghost Coast to Coast” web site. This font represents the printed voice of talk show host Space Ghost, the greatest super hero ever. Since its original release in 1995 Space Toaster’s character set has been bulked up and the kerning has been vastly improved.